Arrive at Madrid Barajas Adolfo Suarez International Airport, transfer t o accommodations. Training session #1 at Real Madrid C.F.’s Real Madrid City with Real Madrid Foundation coach. Training session #2 at Real Madrid City with Real Madrid Foundation coach. Training session #3 at Real Madrid C.F.’s Real Madrid City with Real Madrid Foundation coach. Tour Real Madrid C.F.’s Santiago Bernabeu Stadium, museum, trophy room, and megastore. Lunch at the Real Café Bernabéu. Training session #4 at Real Madrid C.F.’s Real Madrid City. Competitive friendly game #2 vs. top level Spanish team. Training session with your own coaches (subject to availability). 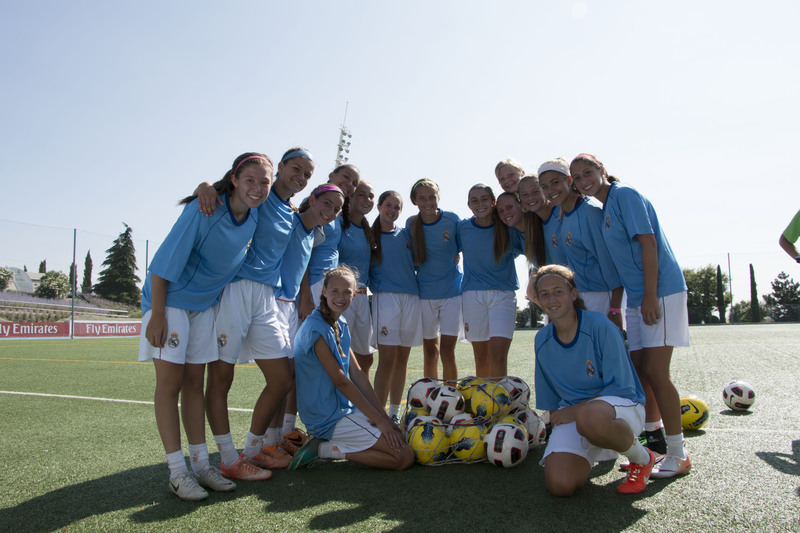 Tour the Royal Spanish Soccer Federation’s City of Football training complex and museum. Guided City Tour of Madrid (Palacio Real, Plaza Mayor, Puerta del Sol). Free time to enjoy Madrid on own. Competitive friendly game #3 vs. top level Spanish team. Attend an official “La Liga” game (optional and additional cost). Tour Real Madrid C.F.’s Real Madrid City training complex and Santiago Bernabeu Stadium, Museum and megastore. Eat lunch at Lunch at the Real Café Bernabeu.